Our day services offer a variety of opportunities for consumers to work on personal goals in a group setting. Programs are based in Farmington, Rochester and Elmira NY. Our program also offers daily opportunities in the areas of cooking, volunteering, shopping, video and board games, card tournaments, computers, recreational outings and more. Our calendar of activities changes monthly and members choose their preferred activities. A wildlife education outreach group run by the program members. This program is the only one of its kind in the United States! 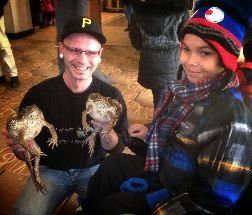 To learn more about this unique program, click this link to go to our Wildlife Rockstars page. 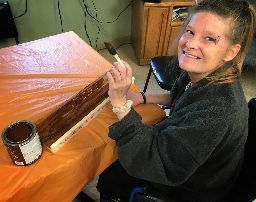 This program is based out of the Rochester Museum and Science Center and offers "real world" opportunities for members to work on personal rehabilitation goals and basic work skills. 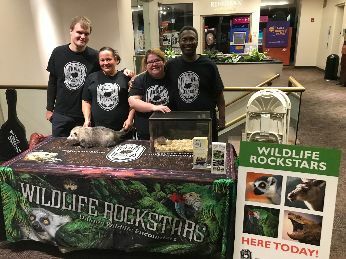 Members present information about native and exotic mammals, birds, reptiles and other animal ambassadors we have rescued and raised to RMSC guests in "Pop Up" Programming and Live Stage Shows! 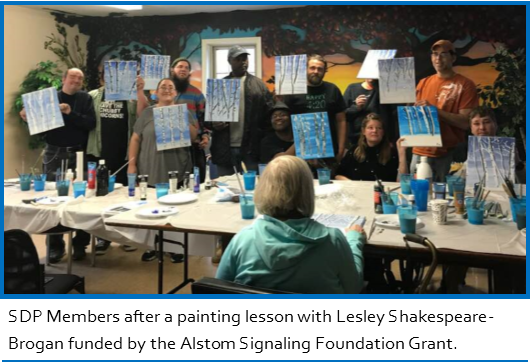 Engages members in artistic opportunities while connecting to the community. Offerings are varied and include jewelry making, arts and crafts, ceramics, sewing, trips to the Corning Glass Museum and other art related excursions, and so much more! 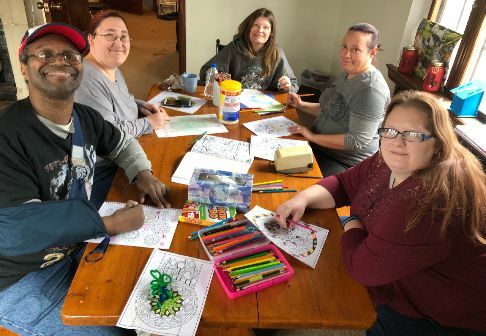 Our “With Out Walls” program provides recreational opportunities every Saturday for those who want to be a part of the weekend action with their peers! Activities might include trips to the Rochester Public Market, Bowling, Shopping, Community Festivals & Events, Museums, Parks, Beaches, Movies, Lunch Outings or whatever the group decides! 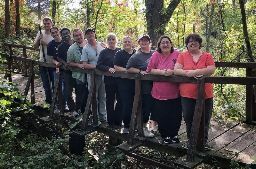 For More Information or to Schedule a Tour, Contact John Truini, Day Program Director at jtruini@bridgesforbraininjury.org or call 585-396-0070.